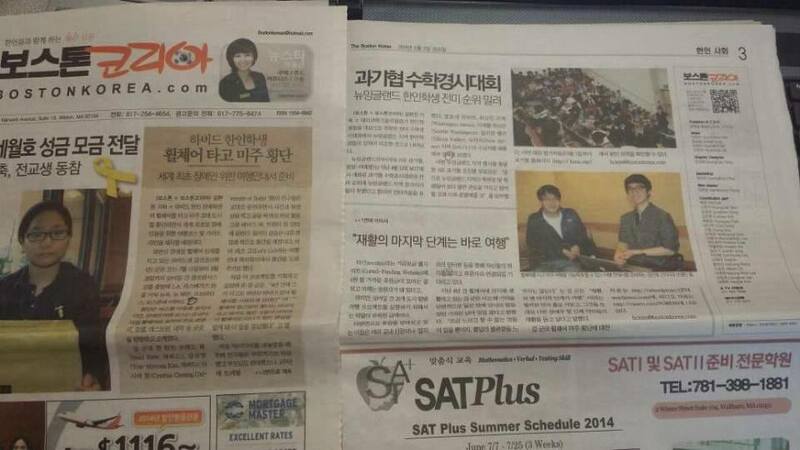 Our project was recently featured in an article by a local Korean newspaper called BostonKorea! WE JUST PASSED OUR FUNDRAISING GOAL!!!!! With 142 total backers, in just a few short weeks we were able to raise over $6,000 for our project! THANK YOU to everyone who was able to support us; we would NOT have been able to do this without you!! 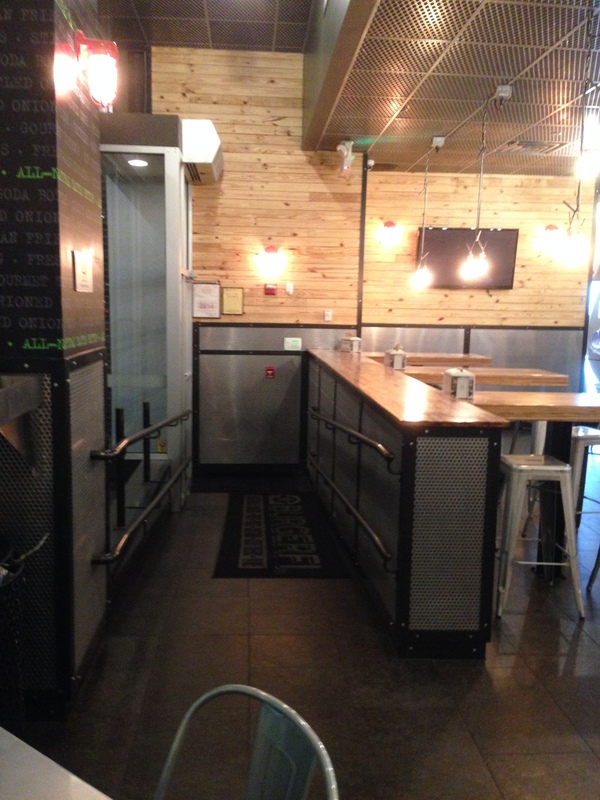 Accessibility Basics: entrance and bathrooms accessible. Plenty of room to maneuver. 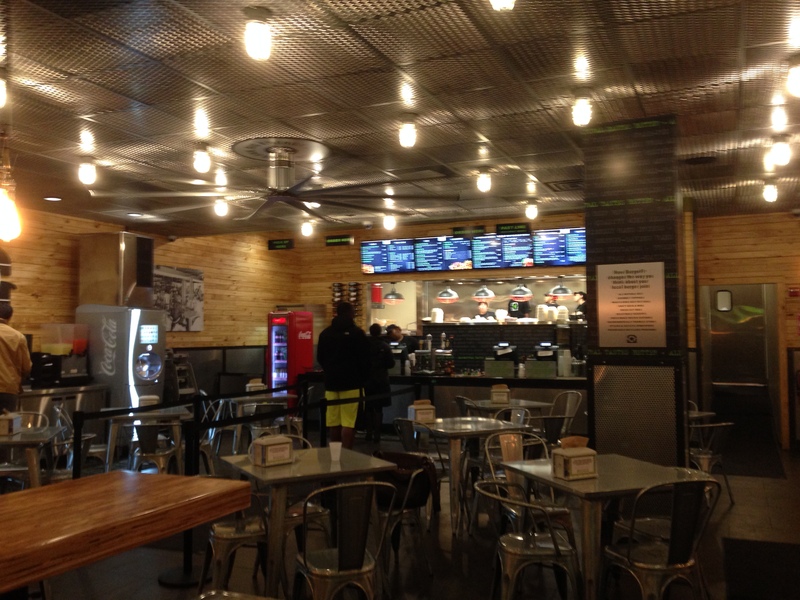 Kunho and I were at BU a couple weeks ago visiting some friends who took us to a great burger joint by the west campus. 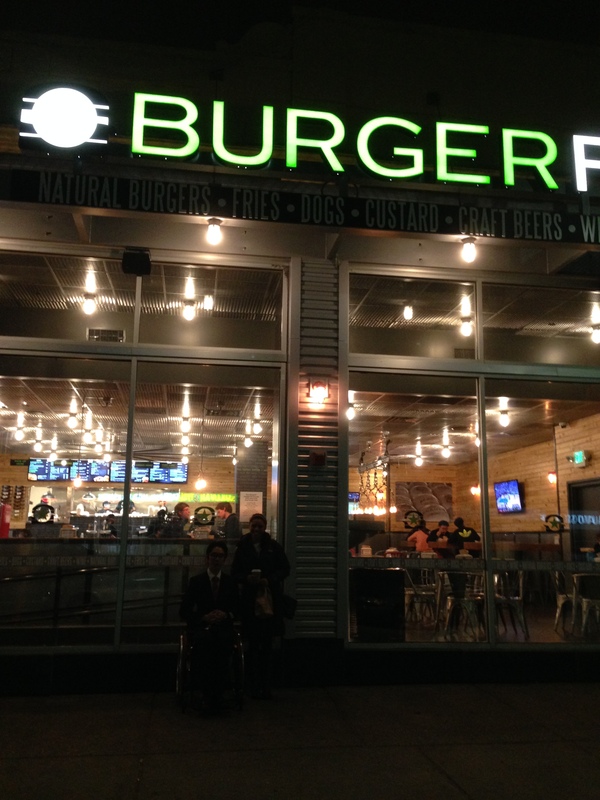 BURGERFI faces the streetfront with a loud blockletter sickly-green sign and a glass-and-steel facade. Inside, the restaurant throbs pop oldies. The whirring of a giant long-bladed fan and yellow bulbs set into a metal grille ceiling lend an almost industrial air, though a few long wooden tables soften the mood. The place feels hip. A long ramp leads in from the main entrance and there’s plenty of room to maneuver a wheelchair through to any corner of the restaurant. Bathrooms are accessible. The only thing they’re missing–and this is small–is an automatic door. Our burgers were cheap, and I appreciated the option to build-your-own, with toppings choices from bleu cheese and onion rings to garlic mayonnaise. Our food came out in a few minutes. Mine was a good hunk of meat and Kunho’s fries were spiced to a Cajun twang, though his were lukewarm. The food was priced reasonably and we left with full stomachs. We stopped for a second to take a picture by the door.